Blackdahlia are a gothic/alternative metal band from Foggia, Italy, founded in 2008 by Samuela Fuiani and Ruggero Doronzo. The band released their first, self-titled demo back in 2009 and having signed with Areasonica Records are back with their follow up, debut album – Fragments. 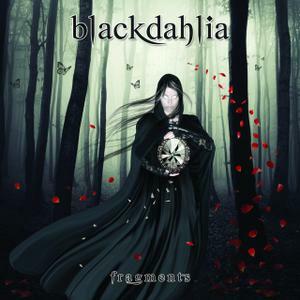 In a crowded scene full of self-style female fronted gothic metal bands, Blackdahlia are easily lost in the tide of clichés. Upon listening to the band's debut Fragments I feel like I've heard it all before, while being easily enjoyable the songs are also easily forgettable in equal measure. At several points through the album Samuela's voice sound slightly strained as she tries to hit bolder, lower notes, yet this is balanced well by her softer vocals in Alice and Goodnight, that take on a tone similar to that of Stream Of Passion's Marcela Bovio's lighter notes. Having read several mixed reviews of Fragments I think it's safe to say that this album is both hit and miss. As far as gothic/alternative metal goes these days Fragments is a pretty average album, uninspiring, but still enjoyable if you have the attention span for it.